Article reviews can be somewhat intimidating to write, but they don’t have to be. After all, it’s a review of a single source which you’re encouraged to rely heavily on. Following these easy rules can make writing your article review a breeze. When you’re writing an article review one of the most important things you have to keep in mind is your audience. 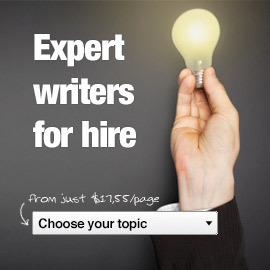 Who your target audience is will inform your entire review writing process. Think about how much background information your audience has about the topic as a whole, and how much background information you’ll need to provide. Luckily, with article reviews, your audience typically includes people with expertise in the subject you’re writing about, so you don’t have to do any additional research. It will, however, be wise to use terminology that you’re certain your audience is familiar with. You’ll actually want to do several readings of the article in question. On your first read through, highlight anything that’s unclear and record your first impressions in your notes. What was surprising? What was unsurprising? What did you like about the article? What didn’t you like? After you’ve done this, read up on anything in the article that was unclear so that you’re more prepared for your second round of reading. Take detailed notes, and answer any questions you had after your first read through. You’ll especially want to note anything about the article you’re critical of, because you will be discussing those things in detail in your review. Your review needs to be well structured and organized. You’ll want to have a clear introduction, a summary of the article being reviewed, and then labeled sections so that your audience can follow your reasoning well. It’s vital that you provide support for each of your stated opinions. You’ll need to draw on the review itself, and potentially other sources, depending upon the opinions you state. You can avoid having to do more research by confining your statements to those that can be supported by the article itself, however, and that’s frequently the best path to take when writing an article review. If you venture too far off base, you’re writing an analytical paper or a research paper instead of a simple review.